It's February, yea, the second moth of the current Gregorian calendar and the third month of Winter's rule, derives its name from Februa (also known as Juno), the name of a Roman purification festival held on the fifteenth day of February in ancient times. 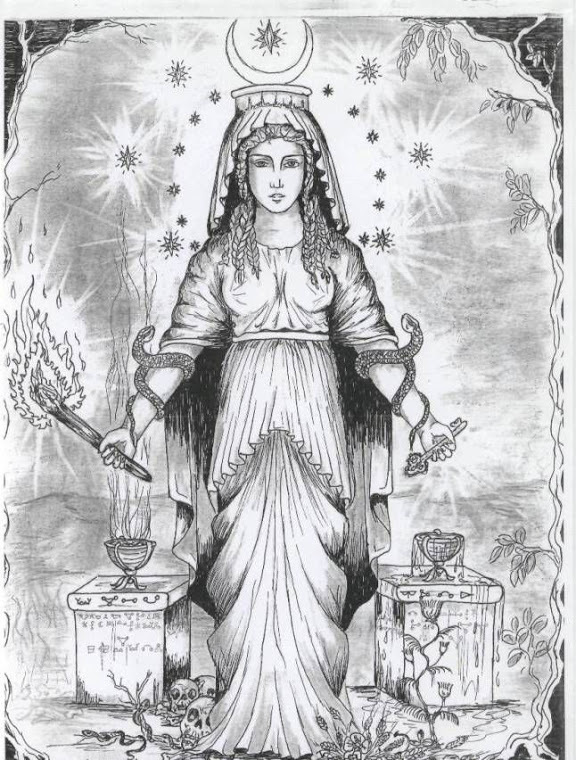 Brigit, the Celtic Earth-Mother and goddess of fire, wisdom, poetry, and sacred wells, is honored on February 1st. In Ireland, offerings of yellow flowers are made to the goddess at sacred wells dedicated to her. February 2 is Candlemas, Cthonic emergence -- the first stirrings of life in darkness beneath the Earth. Harbinger of Spring, and good for "seedings" of all sorts, including projects. It is the Sabbat which celebrates the coming of Spring time, and represents new beginnings and spiritual growth. February 14 is, be still my beating heart, Saint Valentine's Day, a good time for love potions, or a good Hockey game. February 26 is the "Pentagram Night," a night to reaffirm your dedication to the craft of Wicca and the Old Ones.